Hollywood Math and Science Film Consulting will ensure that the technical details and jargon in your script sound believable, whether they be mathematical, scientific, or medical. We will ensure that the backdrops in your scenes—the writing on the blackboards, the equipment in the labs—look realistic; that your universities look like universities and your academics act like academics. We have mathematicians, scientists, and physicians to serve you, and we have contacts in academia all over the world to assist us. 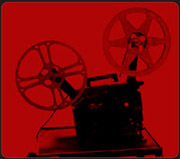 We at Hollywood Math and Science Film Consulting don't want to destroy the fantasy of films. We can enhance your film's production design by guaranteeing the authenticity of its setting and that of your props. We can also provide the research relevant to and required by your project to ensure a credible and compelling storyline. In short, we will see that your script sounds right without affecting or undermining your story.